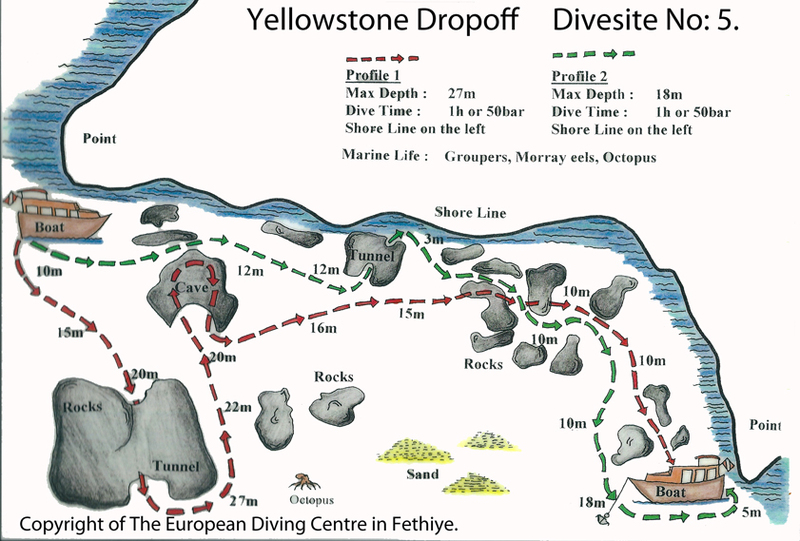 Yellowstone Drop-Off » European Diving Centre Fethiye. 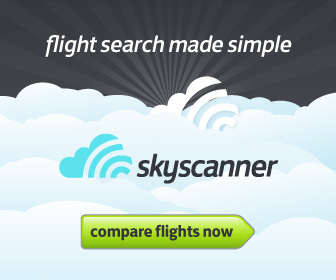 This dive site is ideal for divers of all certification levels. The red route takes divers down to 29 metres where a small swim through allows divers to observe a wide range of colourful corals before ascending to 20 metres where a large cave containing shrimps is located. Divers can enter with our dive guide 1 at a time to observe the marine life. Underwater torches are a requirement for this part of the dive. Upon all divers exiting, there then follows a 30 minute dive back to the boat which by now is moored in yellowstone bay. The bottom profile is such that divers automatically come shallower during this dive retaining contact with the rocky outcrops and crevices to observe the marine life. The green route allows open water divers to benefit from the stunning underwater features whilst observing the maximum depth limit of 18 metres. Safety stops are carried out swimming around under the boat to maximise available dive time.